This thread is a continuation of the hugely popular BA Tier Point runs 2015 thread. 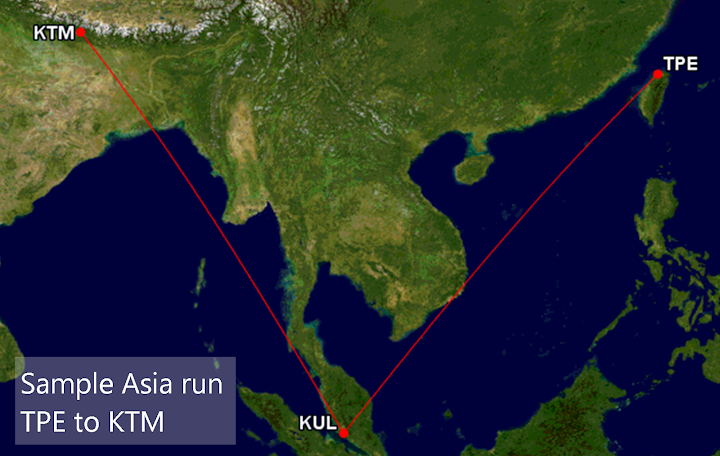 This is intended to be a starting point for finding key origin and destinations to tailor your tier point runs, but you will still need to do some leg work to find the correct dates and flights. Also, don't forget that with some of these fares there will be positioning and other costs associated to get to the start of the tier point run. Special thanks to all members who graciously supported the 2015 BA Tier Point runs thread, in particular those who tirelessly updated the thread's wikipost and those that offer advice and comments in response to the many queries posted. Much of the new information incorporated into this primer was transferred over from the old wiki, but it has been updated and refreshed where necessary. Unlike Avios points which can be earned through a multitude of activities, Tier Points can only be earned through the pursuit of flying and are earned on all commercial BA and oneworld fares (subject to a few exceptions). The number of Tier Points you accrue is entirely dependent on the fare class (or selling class in BA lingo) your tickets are booked in. 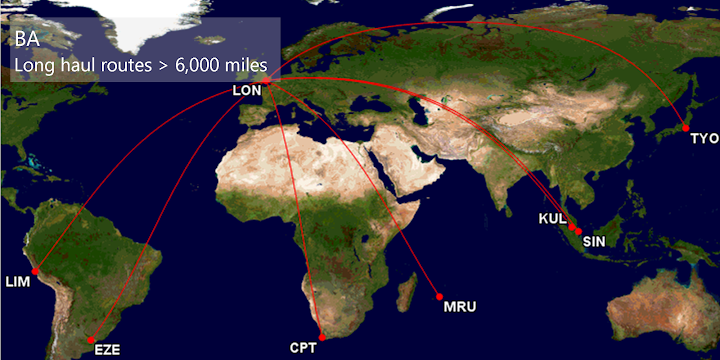 Below is the full earning chart which covers BA flights and oneworld partner flights. Please note, while flights on BA partners such as Alaska Airlines, and Meridiana may earn Avios points, they will not award Tier Points. See http://www.flyertalk.com/forum/briti...l#post25948899 for more details. In particular, as reported here, from 26 January 2015 flights on AS metal flown under the AS number or AA metal flown under the AS codeshare earn avios only, AS metal flown under the AA codeshare earn no avios or TPs. † This table now reflects our understanding that the TP earn rate for lowest economy is applicable to some non-BA flights as well as BA flights. The ba.com calculator (which can be found under the Flight Calculator link here) has also been updated in late 2015 to reflect this. The page also provides lists for all oneworld carriers for Tier Point earnings. Some booking classes on some carrier will not earn Tier Points so prior to booking you should check the relevant table for that carrier – if a booking class is not included in the table you must assume it will not earn any Tier Points. LHR to/from Athens (ATH), Bucharest (OTP), Chania (CHQ) due to start 30 April 2016, Corfu (CFU), Gran Canaria (LPA), Helsinki (HEL), Istanbul (IST), Kalamata (KLX) due to start 30 April 2016, Kiev (KBP), Kos (KGS), Larnaca (LCA), Mykonos (JMK), Reykjavik (KEF), Santonrini (JTR), Sofia (SOF), and St Petersburg (LED). 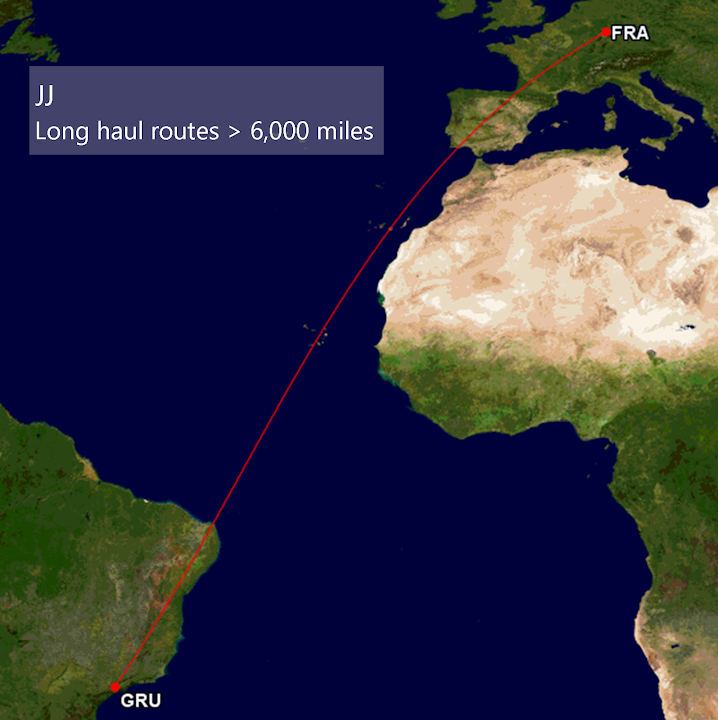 LGW to/from Algiers (ALG), Bodrum (BJV), Dalaman (DLM), Fuerteventura (FUE), Heraklion (HER), Lanzarote (ACE), Larnaca (LCA), Las Palmas (LPA), Madeira Funchal (FNC), Malta (MLA), Marrakech (RAK), Paphos (PFO), Rhodes (RHO), Sharm el-Sheikh (SSH), Tenerife (TFS), Thessaloniki (SKG), and Tirana (TIA). 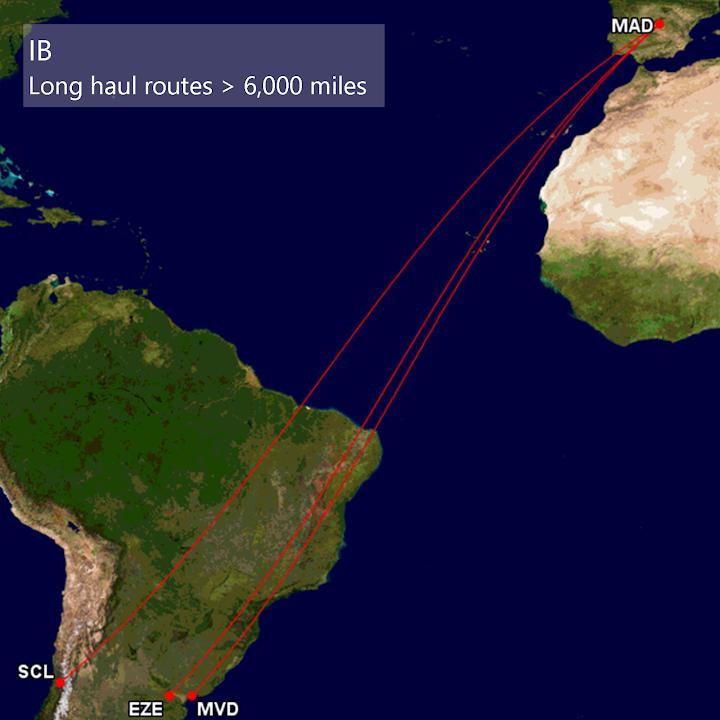 LCY to/from LCY to Mykonos (JMK) and Santonrini (JTR) - both for June to September 2015. 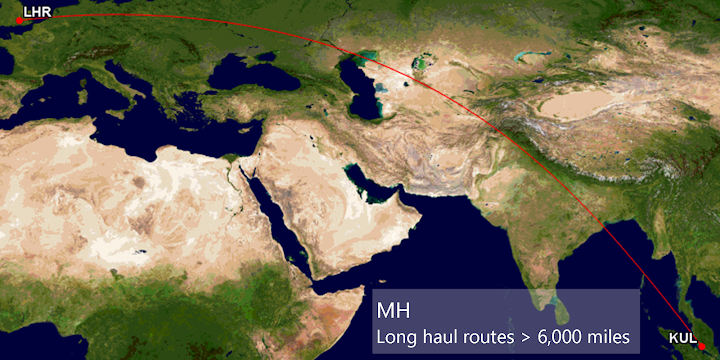 MAN to/from Helsinki (HEL) (operated by N7 for AY). EDI to/from Helsinki (HEL) operated by AY (due to start April 2016 and indicated as earning shorthaul+ Tier Points on the BA calculator. The example above would earn 40+140+210+60+60+210+140+40 = 900 TPs in total. 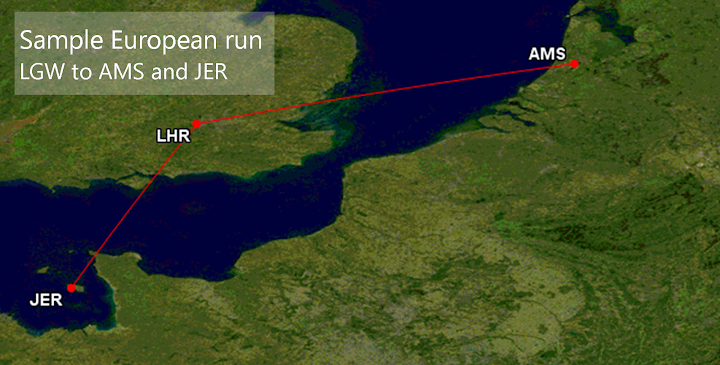 HEL is optional and will get you an additional 80 TPs for the HEL-LHR flight but is much more time consuming. If you do want to fly via HEL consider starting from CPH as the CPH-HEL flight will be much shorter than DUB-HEL and both earn 40 TPs. 1,360 TPs is the maximum you can generally earn on an exEU run to the US as the fare rules typically allow two connections in each region only (i.e. two in Europe and two in the US). Central America and the Caribbean have become hot spots for TP earning frenzies out of the United States in recent years. AA's Instant Upgrade fares from the west cost to Puerto Rico, Costa Rica, Nicaragua, and Panama amongst many other destinations in the region deliver excellent Tier Point yields. So much so, that with a little bit of planning and of course time, it is possible to rack up TPs at an alarming rate. There are a few online tools which you should be aware and familiar with, and these will help you a lot when booking Tier Point runs. 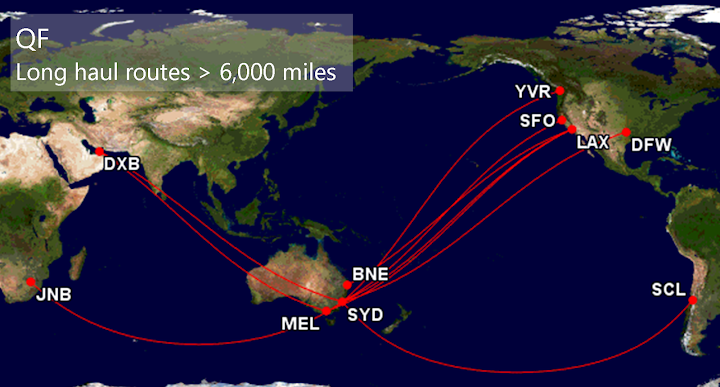 The following diagrams illustrate AA routes greater than 2,000 miles. Note, the forward cabin on AA flights serving Canada and the Caribbean are sold as business rather than first class. Routes are subject to change so again downloading the latest timetable from aa.com is recommended. 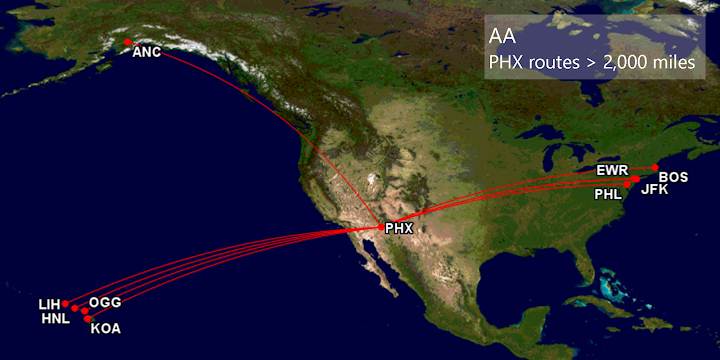 Sometimes routes which are not non-stop like SEA-PHX-ATL will code as the same flight number for both segments, which results in a 2000+ mile segment, i.e. 210 TPs in First. For more information and a list of these stopping routes see here courtesy of EsherFlyer, and for those starting and ending at a station that doesn't otherwise have accessible > 2,000 mile segments see here. 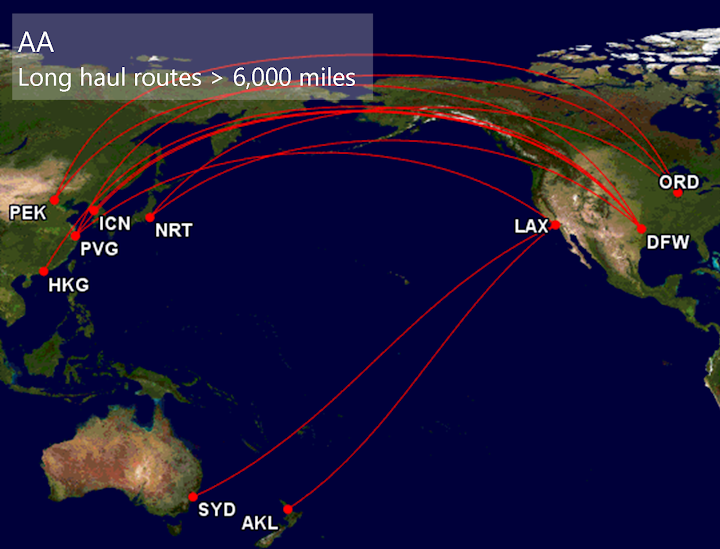 Note that the DFW-SJU route is a business cabin and not a domestic first cabin so would only earn 140 TPs. Something to be aware of with premium cabins on flights operated by AA - flights operating entirely within the US are marketed as first class; those operating outwith the US are marketed as business class. The example above would earn 60+210+40+40+210+60 = 620 TPs in total. 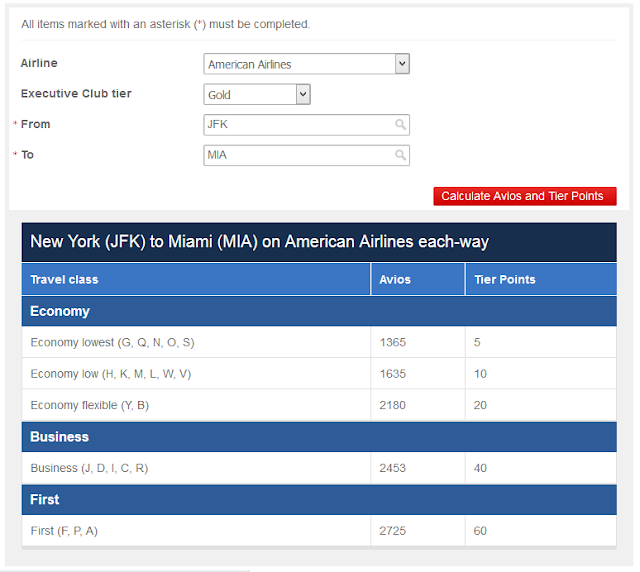 Note, the flights between MIA and SJU are sold as business class and thus accrue 40 Tier Points. 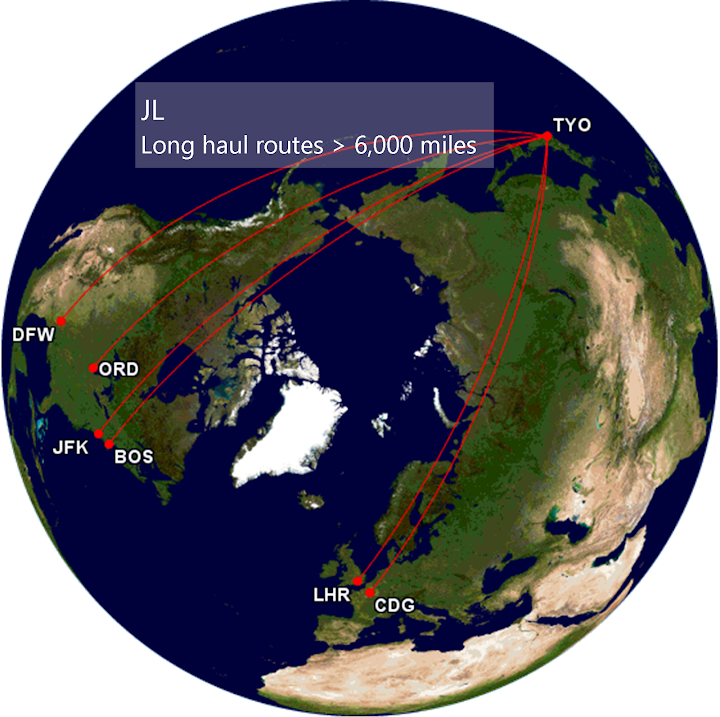 For those planning a trip from the Midwest or East Coast to San Juan, it is worth considering DFW as a connection point, since DFW and SJU are in excess of 2,000 miles apart and therefore accrue 140 Tier Points. If you booked with BA on a 125 ticket it's in the T&Cs, and there will be no push back should you need to submit a ORC claim, though you will have to claim manually and it will take a few weeks to clear. Occasionally, if the irrop was at the very last moment you'll get the ORC anyway and automatically. 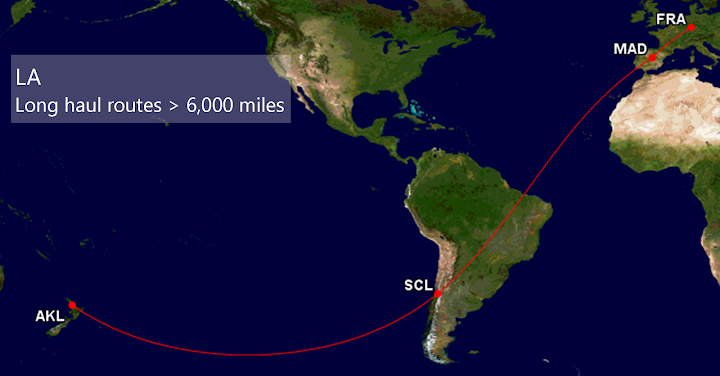 The only stickiness relates to 001 ticket and rerouted on another oneworld flight (typically a re-routed and/or downgraded AA service) which gets less TPs and Avios. In that scenario if you claim ORC, BAEC pushes it to AA (since they are the ones who "pay" the Avios) and their view can be that you get what you travelled and a refund for anything you didn't travel. I can confirm we are now in 2016! For 45 tier point run, I would suggest booking a return to one of the 40 tier point destinations with one way in CE and the return in ET (or vice versa if cheaper), this has worked for me in the past. Bilbao, Jersey and Amsterdam seems the most cost effective for this. Indeed thanks to all who contribuited and helped answer queries from others on the 2015 thread. Well done to KARFA - a brilliant effort. This, and the BA Avios/TP calculator would imply that the only TP's from QF economy are 30 [discounted] and 120[full fare]. Is this true ? I think this is case where the earning on QF is lower than the corresponding fare clase on BA, for some of the economy fares. Also in Post#1, in the same graphic, in the line below the above QF entry, there are two + missing from the WT[+] entries for long haul and long haul extended. Very many thanks for setting this up KARFA, I appreciate that this is a huge amount of work. This is my favourite thread on FT - lots of people providing helpful advice and very little acrimonious diatribe. This is what the BA calculator states. So there is no 60 TP option for QF unlike BA. 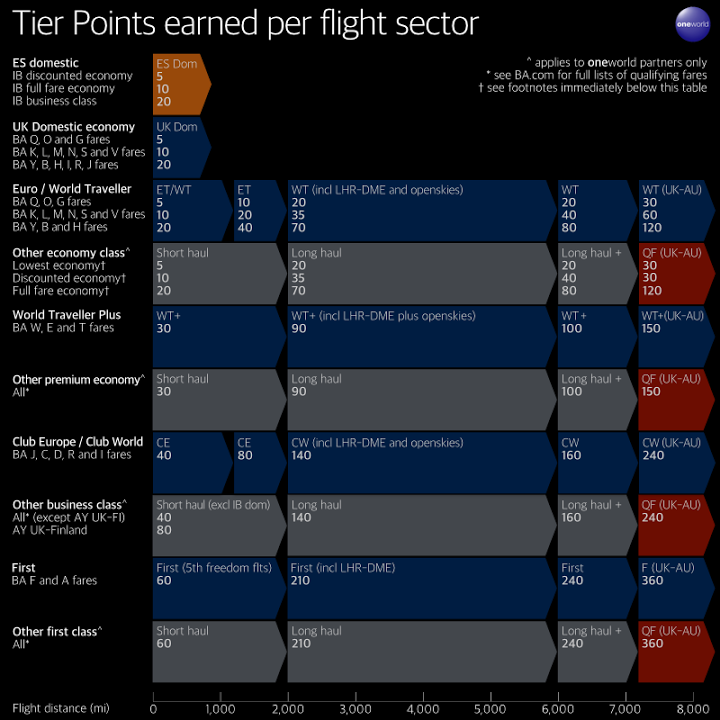 I will get the "Tier Points Earned per Flight Sector" graphic amended.